If you have already tried using a low-cost PCMCIA serial card you most likely have already experienced either a computer freeze, driver errors, being unable to communicate with your serial device or even a BSoD. With this being said, unless you invest in a card with a quality processor and chipset, this is what you can expect from a low-cost PCMCIA serial card. The reason is that most low-cost serial PCMCIA cards are designed with a low-cost processor which again has low-cost and poorly written drivers, which obviously results in headaches for the user. The PCMCIA serial card we present here uses a quality processor (OXCB950) from Oxford Semiconductor which provides superior performance and reliability at unmatched data transfer rates. The card adds one standard high-speed serial RS232 COM port to your laptop which will allow you to connect to most types of serial RS232 devices. This ruggedized model has a standard male DB9 connector with stand-off nuts for securing a serial cable. It inserts into a Type II PCMCIA socket (most older laptops come with this type of socket) which makes this PCMCIA serial card ideal for most office, commercial and industrial applications such as printers, modems, digital cameras, scanners, GPS devices, PLC's and other consumer and industrial serial devices. Why is this PCMCIA serial card better than other cards? This particular serial port card is very easy to configure since once installed it shows up under Windows Device Manager (unlike many others) as one additional COM port. However, what makes this serial port card superior to other cards is that it is designed around the Oxford processor as mentioned earlier but it also has a SP3243 serial transceiver chip from Sipex/Exar which creates a synergy of compatibility between the two chips. These processors has shown to be compatible with the majority of serial RS232 devices on the market with a minimal error rate, which means that there is a very good chance that this particular PCMCIA serial card will work flawless with your device. You simply avoid the troubles with computer freeze, lost data and bad connections which are some of the problems with so many of the low-cost serial cards. This type of serial card is often used on older computers which does not have the new standard called ExpressCard. A PCMCIA serial card is an easy and convenient way to create a COM port in a computer which does not have any COM ports. 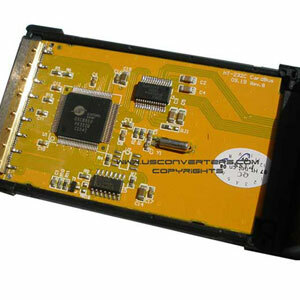 When shopping for a serial RS232 PCMCIA card it is important that you choose a card which is suitable and compatible for your serial device and your computer. Most importantly is the cards processor chip. There are many models and brands of processor chips serial card chips; we recommend a chip from either Oxford Semiconductors or Moschip, these PCMCIA serial card processor chips have proven effective in most applications. The typical serial port card contains one serial COM port however some cards also comes in multi-port versions. 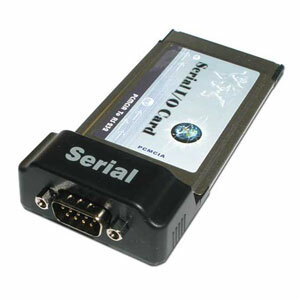 For other serial adapters and alternative solutions please see our selection of serial port cards.